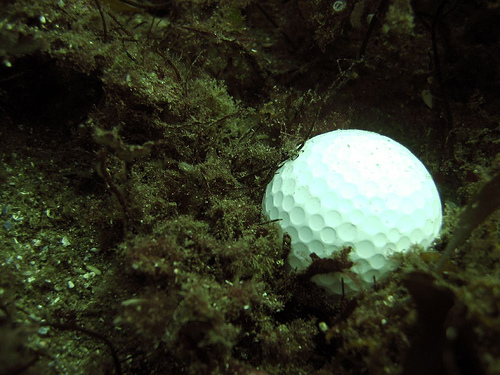 Since Zach Johnson of nearby Cedar Rapids, Iowa, just won the British Open, let’s talk golf. Specifically, let’s talk hazards. 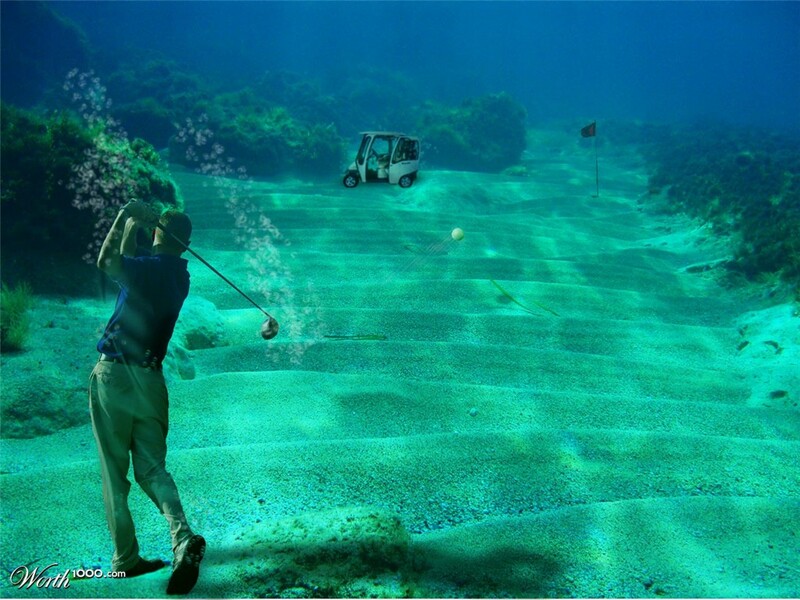 By definition, a hazard is an area of a golf course which provides a difficult obstacle, and is usually of two types: water hazards such as lakes and rivers; and man-made hazards such as bunkers. Bunkers are designed to be impediments to golfers’ progress toward the green. There are man-made hazards in life, too. They are abundant in quantity, seeped in varying degrees of injustice or cruelty, and often come from unexpected sources. Who are these people who choose to be bunkers, who aspire to catch us in their traps? They are the trolls at gatherings or on social media, baiting whoever will bite with untrue or bombastic statements. They like to inflame, to goad us into reacting, to pull us into their broiler. The antitheses of peacekeepers, they are Fight Seekers. They are the self-serving plotters, strategists who design ways to take from us, to harm us, to come out ahead at our expense. When they succeed at both plotting and implementation of deviousness, we land right where they want us: in the rough; in the sand; in the deep water of injustice. They are the malingerers, with goals of living out their days in perpetual trouble. 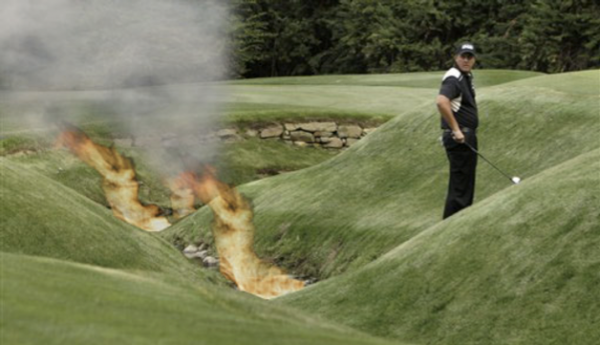 While others endeavor to get out of hazards and put trouble behind, they stubbornly adhere to the bunker they built. They don’t care if we drown in their masterminded troubles, they just want us in there with them. Unlike those in true need, they are the Hazard Makers. They pose as unaware victims, as having no idea where the trap originated. If they don’t advertise their rotten luck or the contrived injustice done them, they can’t get our sympathy, our anger and action against their so-called “enemies”, or our service to their fabricated needs. These people don’t want solutions, they want problems. Problems put them front and center as the object of our attention. They are the impeccable actors and actresses in everyday life, good at their craft, and unmindful of truth or who they malign. Their bunkers are deceptively attractive; our entrapment essential to their hidden motives. We’re caught the moment we believe their falsehoods. As the saying goes, “We have but one life to live.” We can choose to avoid the bunkers, battle our way out when we do land there, and play out our lives on the fairways and greens. We can do our best to never be a hazard to others. We can offer to help people out of the rough, point them to the smooth fairways, support their progress toward the greens, and applaud their well-earned victories. This entry was posted in Uncategorized and tagged as for me and my house we will serve the Lord, Avoiding toxic people, dealing with difficult people, one life to live.